Morning hours, college is full rush due to students entry. This is reopening day. A girl is walking in corridor with few books in her hand and shoulder bag. She wore a beautiful salwar. Her eyes not at all met anyone except floor. She stand infront of one class. Girl from inside: Hey, Twinkle. Come here. She moves little and gave space to Twinkle. Twinkle is in her 2nd year M.B.A. This is her first day in 2nd year. Bubbly charm girl. More about her will be revealed by her friend. Twinkle went and sit near that girl. Twinkle opened a book and immersed in it. Neha pat her. Neha: what are you doing book worm? Today is first day, you started reading now itself. Twinkle: i have to prepare before professor take this topic. Then, only it will be easy to understand and clear doubts. I completed almost all subjects 1st chapter, except this. We can’t predict which subject will be 1st class na. Neha: Twinkle, you are impossible. By the way, do you know who is our professor? He is our college alumnus. That too last year student. Twinkle: he doesn’t have experience, how he will taught us? What subject? Neha: always, care about studies. There is another shock for you. He is going to take all subject for us. Neha: you no need to worry, he is a University topper. Also, temporary only, until 1st internal, if he produce good result, he can continue. Neha: ofcourse, how do you know? You not even know our class boys. He is a dream boy of our college girls. His permanent residence is canteen. Your permanent residence is library, how you will know? Twinkle: what is his name? Their conversation is interrupted by sudden entry of their professor. Neha: look, he has come. Everyone stand up and wished him. Twinkle’s mouth fell open. She stand as statute. Neha pulled her to sit. Neha: what, stunned by his handsome face? Professor: I am Kunj Sarna. Ofcourse, most people here know about me. All begin to shout, yes professor. One by one everyone introduced themselves. Now it is Twinkle’s turn. She stood up. She became nervous. Neha: Twinkle Taneja… for these two words why are you blabbering? Kunj starts giving informations. Twinkle is thinking something else. Twinkle’s POV: Why should i afraid to tell my name? No, i am not afraid but i felt shy, no shame. What is shame in this? This is not crime. Class went silent. Neha nudged her. Kunj is looking at her. Kunj: where is your concentration? Twinkle stood up: My name is Twinkle Kunj Sarna. She tell this in single breath and sit down. Kunj gave a little smile. Whole class is looking at her. Neha is looking at Twinkle. Twinkle understood why she is looking at her. Twinkle lowered her Dupatta, her mangalsutra is visible to Neha. Then, she slightly removed the hair on her fore head, her sindoor is visible to her. Her mouth fell open. So, Friends i am ending this chapter here. I planned this story long ago, but i delayed it in thought whether you guys will like it or not. Please, tell me shall i continue it or drop it? If you all are comfortable with this story, i will continue it. 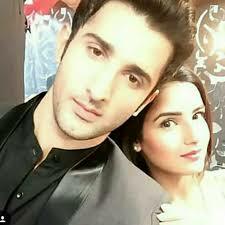 The post I wish to be along with You – TWINJ Chapter 1 appeared first on Telly Updates.